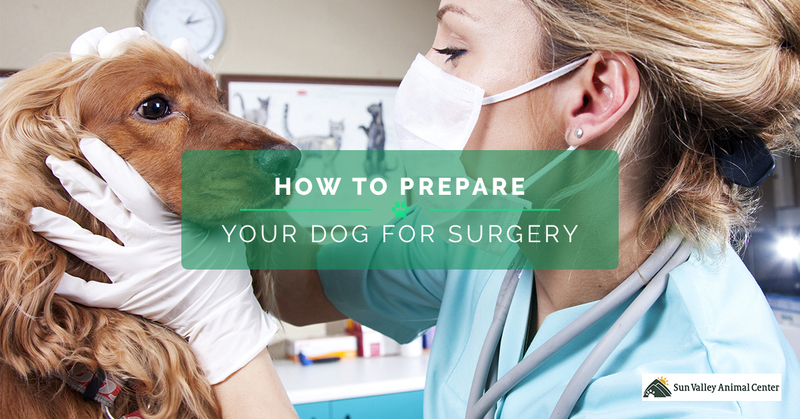 You should start preparing for your dog’s surgery one week beforehand. Ensure that your dog is up-to-date with all of their vaccinations, and make sure you know which ones are required for surgery, which are most commonly for rabies, Bordetella, distemper, and parvo. It’s important that any vaccinations your pet does not have are administered at least five days before surgery to ensure that your pet is properly protected. Also make sure that you have the time off work necessary to take your pup into our veterinary hospital and care for them afterwards. When you are preparing for surgery, make sure to ask the vet whether or not you should give your dog any medication they normally take. While in some cases, it may be important for your dog to continue taking the medication, in others, it will more important to have an empty stomach during surgery. Additionally, you may want to give your dog a bath the night before surgery. This is because you are not going to be able to groom your dog for several days after surgery, so if your dog requires a nail trimming, ear-cleaning, or bath, this is the time to do it. If you have a difficult time grooming your dog normally, you may see if you could have this service performed while your dog is under anesthesia. If your dog doesn’t require a bath, make a point to at least give them a good brushing beforehand. If your dog requires a specific diet prior to surgery, make sure that you have food they can eat on hand so that you aren’t running around post-surgery looking for a way to feed your pet. It’s important for most surgeries that your pet fast beforehand. This is because if your dog becomes nauseous from the anesthesia, they may vomit during surgery, which comes with the risk of your dog choking. Take away food and water from your pet the night before surgery, and make sure there is no way for them to eat or drink after midnight before the surgery (hint: close the toilet bowl and take food off the counters). If your dog somehow does eat before surgery, let your vet know that they did so they can watch out for vomiting. Again, do not give your pup anything to eat or drink before surgery. Go for a brief walk to give them the opportunity to eliminate. Also make sure that you have plenty of time to get to our veterinary hospital to ensure that surgery is as stress-free as possible. You will be contacted as soon as your pooch wakes from surgery, so make sure you have your phone on hand. When you are saying goodbye to your furry friend, don’t make a huge deal about it, as an emotional goodbye will only stress and confuse your pet further. You want your pet to be calm during the procedure, so don’t rile them up with a dramatic goodbye beforehand. Once you bring your dog home post-surgery, make sure to follow the instructions given by the vet precisely. Even if you feel that your pooch is totally fine after surgery, don’t allow them to play or move around too much so that the incision does not rip. Watch out for any chewing or licking of the stitches, as well as any changes in your dog’s disposition or appetite. If you notice anything unusual, feel free to call our veterinary hospital for guidance. You may be anxious about your pet’s surgery, but if you are prepared for it, the recovery time will go a lot smoother. If you need more information about our pet surgery services, contact Sun Valley Animal Center in Idaho today.